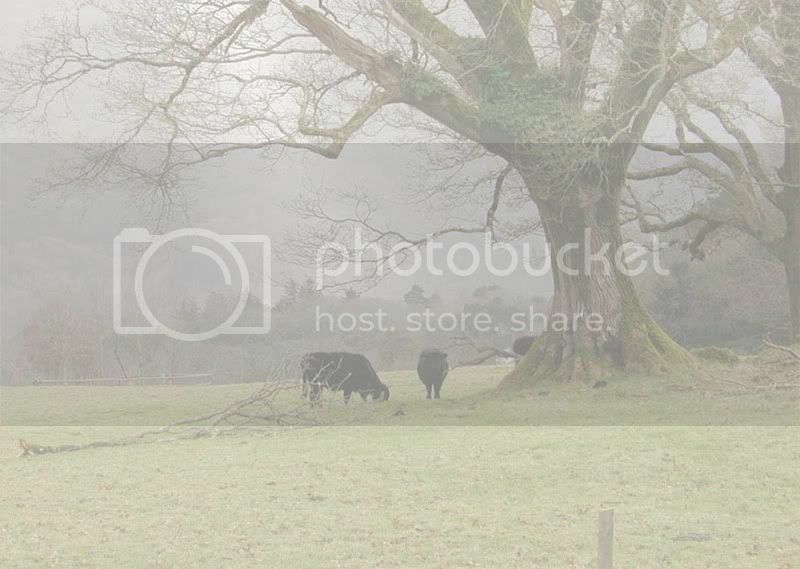 Dam is a photo show winner and Top Ten Halter. Lines to CH Superior's Successor, Superior Odds, Supreme Heir, Attache. 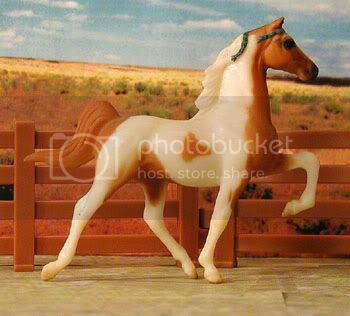 Model information: OF Breyer SM G1 Saddlebred mold, 12-Piece Stablemates Set, special run for the 1997 JCPenney Christmas catalog. Lines to CF First Night Out, Chubasco, Anacacho Empire, Supreme Sultan. Sire is a live and photo show mult. winner and photo show mult. champion. Dam comes from photo show champion parents. 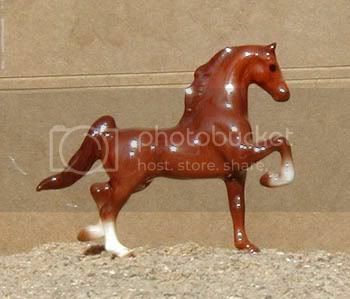 Model information: OF Breyer SM G1 Saddlebred mold, #5002 Pinto Saddlebred, produced 1998 only. Lines to Chubasco, Anacacho Empire, Supreme Sultan. Sire and dam are photo show champions. 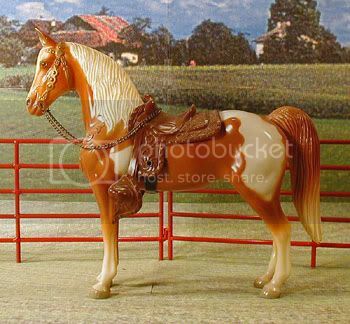 Model information: Breyer Western Horse mold; #56 Western Horse, produced 1956-1967. Though she doesn't show her lovely champagne color, she can pass it on to her foals along with some chrome! She is also a red carrier, so can throw gold champagne foals if bred to the right stallion. 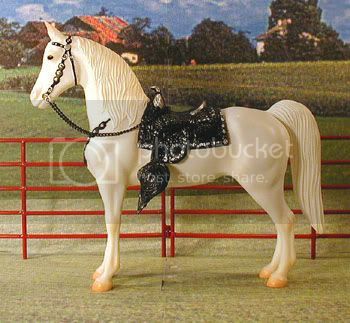 Model information: Breyer Western Horse mold; #1177 Hopalong Cassidy's "Topper", produced 2003. Lines to Uptown Commander, Supreme Sultan. Sire and dam were winning show horses. 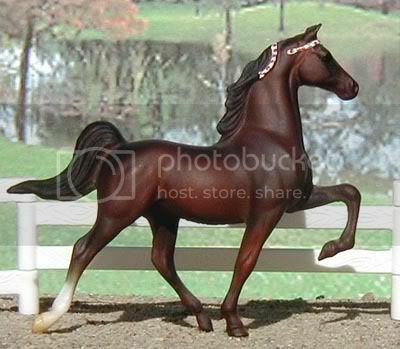 Model information: Hagen-Renaker Postage Stamp series Saddlebred.